The Security Council is the United Nations' most powerful body, with "primary responsibility for the maintenance of international peace and security." Five powerful countries sit as "permanent members" along with ten elected members with two-year terms. Since 1990, the Council has dramatically increased its activity and it now meets in nearly continuous session. It dispatches military operations, imposes sanctions, mandates arms inspections, deploys election monitors and more. This site presents a useful Introductory Article as well as a wide range of other information. There is material on Membership of the Security Council, including a list of current and former Council members, information on Council presidencies and sanctions committees, and information about the often controversial process of Membership Elections. We also present Tables and Charts on the Security Council, including the frequency of its meetings, number of resolutions, etc. The Security Council is part parliament, part secret diplomatic conclave. It follows a Program of Work set out each month by its rotating President. We present information on the different types of meetings of the Council, including a section on Informal Consultations where the Council conducts most of its business behind closed doors. GPF has also collected information on Council field missions which go to crisis regions and panels of experts that provide some of the UN's most explosive and revealing reports. We post materials on many of the major crises addressed by the Security Council, including alternative interpretations of what is happening. You will find such information on the Index of Countries on the Security Council Agenda: Afghanistan, Angola, Burma/Myanmar, Burundi, Republic of Chad and Central African Republic, Democratic Republic of Congo, East Timor, Ethiopia/Eritrea, Haiti, India/Pakistan, Iran, Iraq, Israel/Palestine, Ivory Coast, Kosovo, Lebanon, Liberia, Libya, North Korea, Rwanda, Sierra Leone, Somalia, Sudan/Darfur, Uganda and Western Sahara. We also have a section monitoring events across the globe that are not officially on the Security Council agenda, but are of interest to Member States, including Yemen. 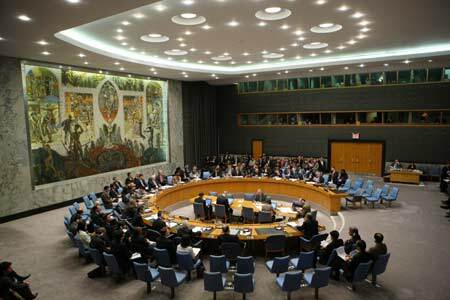 To resolve international conflicts, the Security Council sometimes imposes sanctions. GPF considers the debate on Sanctions and includes proposals on ways to make sanctions more effective, better "targeted," and more humane and lawful. 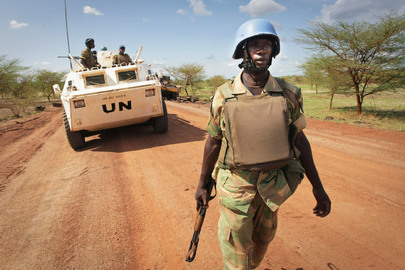 The Council also frequently deploys Peacekeeping missions that bring soldiers and police directly into conflict zones. Peacekeeping is the UN's largest and most expensive activity and it can also be controversial, especially when "robust" operations apply lethal force. GPF looks at Peacekeeping Data, including the number of peacekeepers, the country of origin and the cost of these operations. We look at the lessons from past UN peacekeeping experiences as well as current operations. We also look at Peacekeeping Reform and consider the role and future of peacekeeping operations. Wars and civil strife often reveal The Dark Side of Natural Resources. GPF provides information on the role of natural resources in fueling conflict, including specific information on Oil, Water, Diamonds, Timber and Minerals. We also consider the role of Small Arms and Light Weapons in conflict, as well as UN efforts to block small arms flows. Though many states favor Security Council Reform, there are sharply conflicting views on how reform - particularly membership reform - should be carried out. A handful of states aspire to "permanent" status for themselves, while many other countries reject such claims. This section assembles information about other reform issues, including transparency and Working Methods. GPF has published a brief but comprehensive text, signaling the main reform issues and arguing for regional representation as the best means for a truly Democratic Reform. One of the key reform issues is The Veto. The five permanent members gave themselves this right when the UN was set up in 1945 and have clung to it ever since. More than sixty years later, debate on the veto continues. At issue is not just the exercise of the veto, which is rare, but the "Hidden Veto" which is used constantly by permanent members as a threat to get their way. GPF follows the issue, and provides Tables and Charts on the Veto, including a comprehensive list of all the vetoes cast and the subjects vetoed in the Security Council since 1945. In 1997, Security Council members began an active dialogue with Non-Governmental Organizations (NGOs). GPF provides information on the NGO Working Group on the Security Council and explores the relationship between NGOs and the Security Council. Another very valuable source on Council matters is Security Council Report, an independent think tank. SCR issues monthly reports that anticipate the Council's program of work; it also publishes many excellent special publications about country crises and thematic issues. The Council is a fascinating but often frustrating institution. Thanks to increased monitoring by NGOs and the media, citizens know more today about the Council's work than in the past, but the Council still falls far short on accountability, fairness and effective action.